Home Flower Care	Fresh Rose Petals, Now in Smaller Packages! Fresh Rose Petals, Now in Smaller Packages! 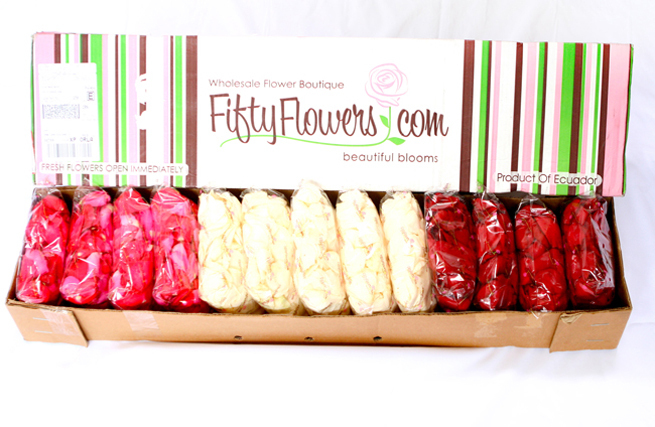 You asked for smaller package sizes, so we listened, starting with our Fresh Rose Petals! 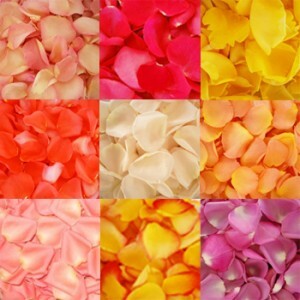 We now offer our fresh petals in 3,000 petal packs, along with the original 6,000 and 12,000 petal packs. Perfect for the Bride who just wants a light sprinkling of petals down the aisle, around her tables, or just to do a picture perfect petal toss. Not sure how to use your petals? The options are endless! Use them to decorate your aisle… you can do a light sprinkling of petals or a full coverage blanket of petals, line either side of the aisle with petals or create a unique design down the center of your aisle. 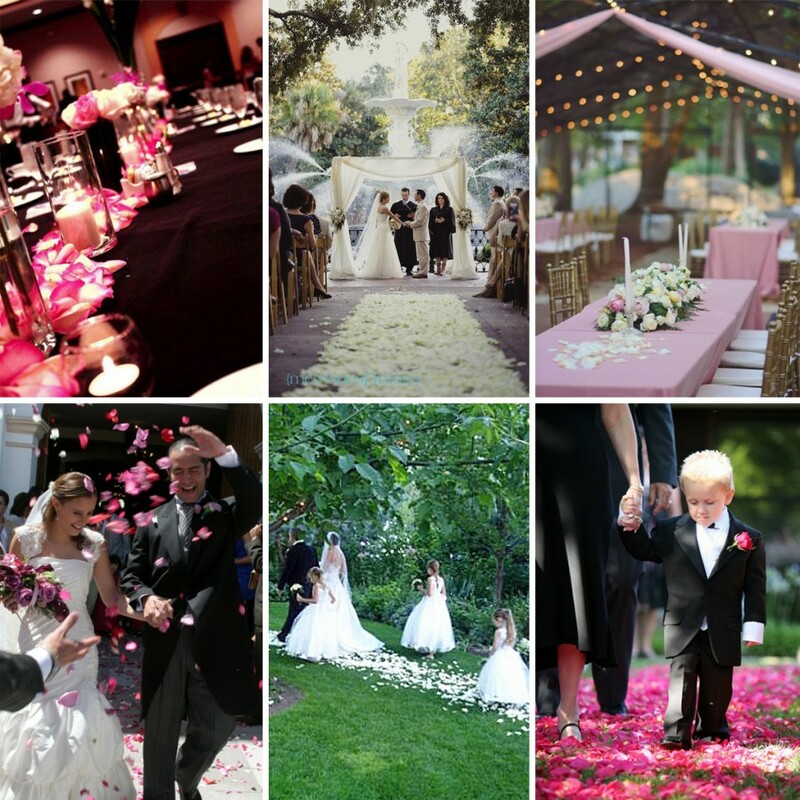 Learn how to create a Rose Petal Aisle here! Spruce up an empty grassy area with a petal monogram or symbol. Fill vases and use as centerpieces or sprinkle around your floral centerpieces to make them look extra lush. Create a table runner out of fresh petals. Do a Petal Toss… Check out more creative uses for rose petals here. 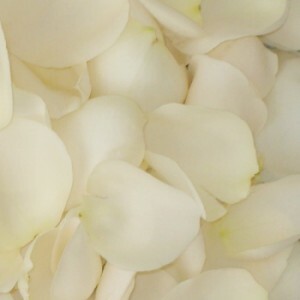 Our Fresh Rose Petals are packed in individual plastic bags for protection during shipping. This also makes it easy to decorate your reception site, fill up a flower girl basket or sprinkle across a table. The bags are even easy to bring along on your honeymoon! One bag of Petals will completely cover an area 20 inches by 9 inches. 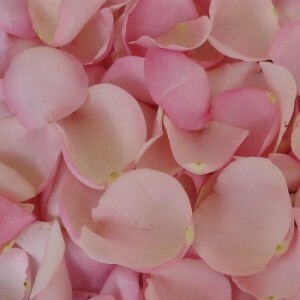 Fresh Rose Petals are shipped directly from our Ecuadorian farms. While our petals will last up to 72 hours stored in a cool dry place, we recommend that all bags be placed in refrigeration to maintain optimal freshness for your event. Simply follow the steps below to keep your Rose Petals fresh. Upon arrival, open the box and inspect the Rose Petals. If a bag has too much condensation on the inside, open and dry the bag with a paper towel and reseal. Place the bags in a refrigerator until ready to use, please ensure that the petals are not placed in a section of the refrigerator that could freeze, they will get damaged. Ensure that your refrigerator does not reach below 35 degrees. Secondly, please ensure that you place your petals away from any fruits and vegetables. If you do not want to store your petals in the refrigerator, after inspection, place your bags of petals back in the box they arrived from, top off the box and store in a cool room. Open each bag and arrange as desired. 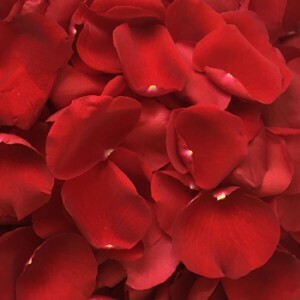 Please remember that once you expose rose petals to the open air environment, they will begin to fade – the petal decoration should be the last touch of decoration you do before guests arrive. Enjoy your Fresh Rose Petals! Hop To It and Save on Easter Flower Favorites!